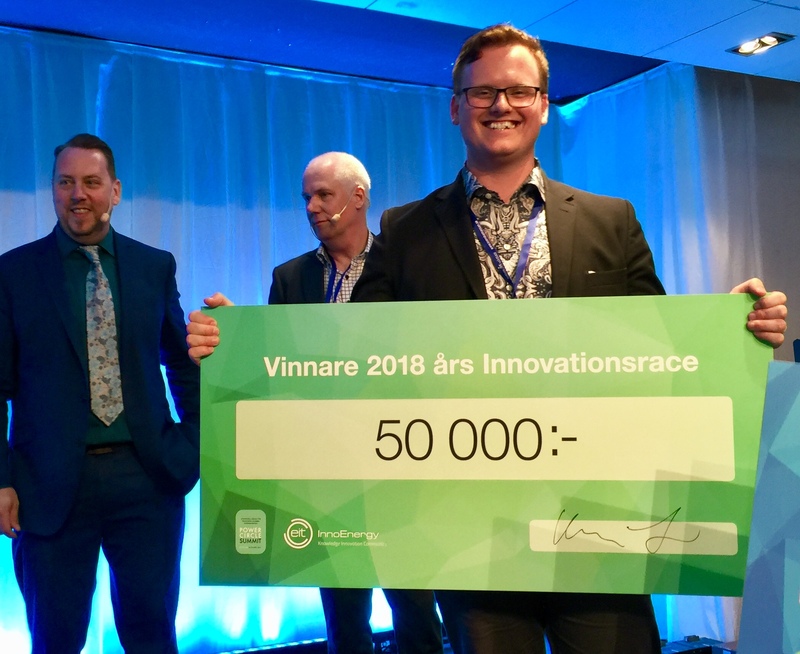 Tim Nordh, CEO of Altris, has come in second place in the Innovation Race at the 2018 Power Circle summit, which took place in Stockholm on the 23-24th of April. The event was the third and final round in a series of pitch competitions focused on the theme “Paradigm shift in the energy market”. The Innovation Race competition is held each year by InnoEnergy together with Energimyndigheten enabling 10 startups to pitch their idea. In 200s each company had to convince an audience of their business potential, innovation height and contribution to a sustainable system. The three finalists of an audience vote are then placed by a jury vote. The 50 000kr prize money will be put to good use in aiding the financing of an upscaled reactor to boost Altris’s production capacity.